I love apple pie however I can get that delicious taste. A cookie would hit the spot just about now. Especially one with all the ingredients of an apple pie with walnuts and raisins and diced apples to give it a satisfying crunch. 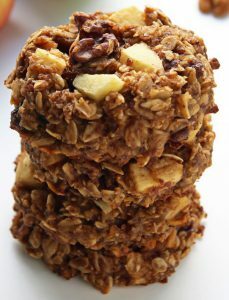 These would be great for breakfast, as a snack for the kids or just any time a cold glass of milk would be welcome . . . or with coffee or hot chocolate. These would be excellent all year round. I’m not a walnut fan, but I do like almonds. Or you can forget the nuts . . . and the raisins . . . Fix these however you like . . . That’s the fun of making things yourself. In a large bowl stir together the oats, salt and spices. In a small bowl whisk the eggs, apple sauce, sugar and oil. Add to the dry ingredients and stir until combined. Fold in the diced apples, nuts and raisins. Drop 1/4 cup size portions of batter onto a parchment lined baking sheet. Flatten the cookies a bit. Bake for 15 to 20 minutes until set. Allow the cookies to cool on the baking sheet before transferring them to an airtight container. We’re getting closer to the 4th of July! I’m going to put my flag out early this year so it can proudly wave in the summer breeze. We’re in our hazy, crazy, lazy days of summer. It is warm — some days downright hot . . . but it is summer and we love the slower pace of things . . . except for the traffic. Everyone is out and about — some still working while others are deciding on the right spot to vacation. There are those who have gotten their backyards together for BBQs and summer entertaining. 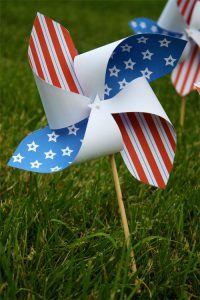 You can make several of these pinwheels and place them throughout your yard. They’re an easy way to get red, white and blue colorfully displayed. Just click the picture to the right and you’ll be taken to the PDF to print out. These work well using a pin and pushing the pin into a pencil eraser. If you want a longer stick, it is suggested that you put a pencil eraser on the top of the stick and push the pin into it. Adding a little bead between the back of the paper and the eraser gives a bit of freedom to the paper pinwheel allowing it to spin easier. These are colorful and look nice in the flower beds, too. These are great to make and set out on all patriotic holidays. It’s a nice way of showing America’s colors. The most important thing to me is sharing time with family and friends. We are truly blessed in so many ways . . . it’s a nice time to reflect upon our many blessings while watching the firework displays . . . or eating a nice cold slice of watermelon . . . after having a hot dog or hamburger . . . or BBQ ribs . . .
Don’t forget to make s’mores . . . or whatever your family tradition. This is definitely flip flop sandal weather. I saw these cute boxes on-line and thought what a great idea. They’re great for a 4th of July BBQ or picnic. You could put some fun goodies in them. I thought they’d be exciting to make and fill with candies. Or they could be keepsake boxes for a summer day at the beach and put some shells in them after they dry appropriately. Maybe some beach sand . . . and little keepsakes from a day in the sun. They would be great to put in some sunscreen or chapstick, a pair of sun glasses. Depending upon how big you make your boxes, they would hold quite a few pictures of your day at the beach or what you did during summer vacation. 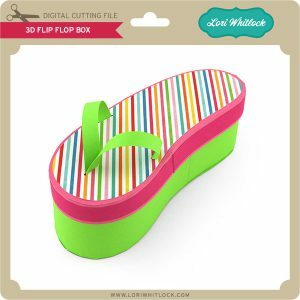 These sandals are usually worn throughout the summer and you’ll have plenty of opportunities to take lots of pictures to put in your keepsake flip flop sandal box.. This is a purchased SVG file. All you need to do is click the image and you’ll be taken to the website to purchase. I know I find a lot of free printables for you, but this time it is a paid one I believe is worth the price. And, if you have a Silhouette Cameo you can get this file quite a bit cheaper from the Silhouette Store. And, if you don’t have a Silhouette Cameo . . . why not? The Silhouette Cameo is an electronic cutting machine that can cut a variety of materials up to 12 inches wide and 10 feet long. This new model has a responsive touchscreen, a handy on-unit cross cutter and built-in accessory storage. I love mine, especially the Print and Cut feature that allows me to cut precisely around designs and images I have printed on my home printer. I’ve made lots of stickers, iron-on, cut-outs for scrap book pages and mini-albums. I’ve also made cupcake toppers and lots of boxes from my collection of templates. It does save me considerable time to have the Silhouette Cameo cut things out for me. It includes a 12 inch cutting mat, a cutting blade and 100 preloaded designs. It also includes the Silhouette Studio, which is the powerful software program which allows you to create your own designs using your own fonts and images. This is a wonderful machine that I truly love using. There are things to learn, but you’ll find plenty of instructional videos on YouTube that will help you out. And you can figure things out with the on-line manual. Some people choose the new Cricut Explore Air Wireless Cutting Machine and others like the Brother ScanNCut2. It’s nice there are alternative cutting machine available for different people who want a cutting machine for different purposes. Well, enjoy your summer . . . take plenty of pictures . . . and make some paper crafts during the heat of the day. Whenever there is a holiday and a group of family and friends gather, it’s time to take pictures . . . lots of pictures. And having a variety of props for those pictures is a place to begin. Then there will be other opportunities to take candid shots throughout the celebration. These props are a great way of getting into the spirit of the 4th of July and is a wonderful ice breaker for those camera shy folks who are attending your gala. As you can see from the picture, all the props have a stick attached. You can have some great fun with these . . . This should get your American Independence Day celebration off to a colorful patriotic start. There are plenty of other items you can select to decorate your party. Just click any of the picture links above and you can shop to your hearts content. It’s always a good idea to get shopping early for the best selection . . . and if you forget anything, you’ll still have time to get it. What a strange word . . . troubleshooting . 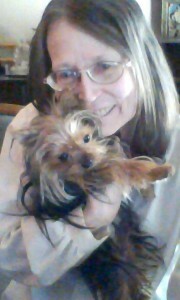 . .
Well, I did get it worked out and in the process learned more about my printer. It was time well spent. I guess there are just some things that are best for you to figure out yourself. With help from the internet. I have an Epson 4550 All-In-One Printer with the ink tanks. And, in spite of the difficulty I had with it, I’m delighted I have it. I found I didn’t reset the ink after I refilled them. That was my error . . . not the fault of the printer, but Epson’s website walked me through the process. Hopefully, I’ll remember the next time. Cleaning the pin heads was also important. Regular maintenance is essential . . . just tell the machine to do it and there should be no problem. I’m printing up a storm once again. With a home business . . . or with an active family with everyone using a computer for homework and other activities, you do need to have a family printer that is economical to use on a regular basis. And with the wireless set-up, it is so handy to use.